I'm bringing back the blog. I miss writing, even if no one is reading it. So, I'm carving out my little space here. I don't keep a journal, so this plus Facebook will be a journal of sorts for me. Also, I love to read, so I hope to post and keep track of longer book reviews here. Here is a bit about the book from Rebekah's blog: "In a Western culture driven by performance and Pinterest fantasies, her story echoes the rise of loneliness, depression, and anxiety that women are facing at all time highs. Why are expectations and lifestyles breaking us down in unprecedented ways? 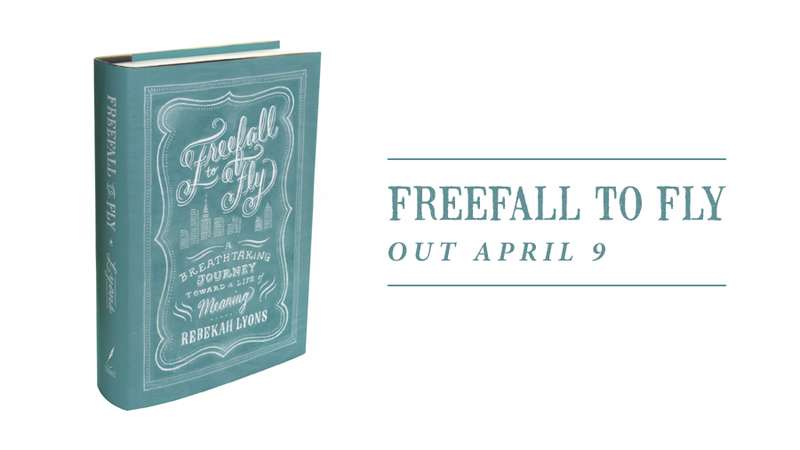 In this beautifully moving memoir of vulnerability, courage, and ultimately transformation, Rebekah shares her journey into the unknown—a thrilling, terrifying freefall that eventually led to flight. Searching for meaning, she stumbled on surrender, discovering that meaning follows surrender. Rebekah found freedom when she faced her greatest fear, and she invites other women to do the same. For it is only when we freefall that we can truly fly." I"ll do what I swore I would never do. We woke up the next morning after yet another restless night, and I told Gabe (her husband) my resolution: I would take antidepressants to get me through. I was no longer able to cope and ready to do whatever I needed to do." So, apparently anti-depressants cause you to "numb out." No, no, and NO! Anti-depressants to NOT cause most people to "numb out." They strip away the anxiety and depression, so you can peel away those terrible layers and get back to who you really are. Two pages later, she writes about her break through. 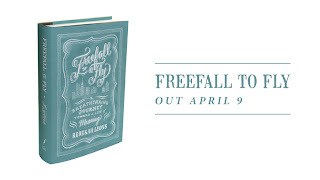 One night, in the midst of an awful panic attack, Rebekah cries out to God in desperation. She prays bold prayers. She is cured that night. So, apparently, if you pray hard enough God will take away your depression and anxiety too. These are the two things that really bother me. There is a huge stigma surrounding depression in general. And, depression in Christian culture? Forget about it. Like we need more perpetuation of the lie that "if you pray hard enough, God will cure you." I feel like Rebekah has done a bit of a disservice to Christian women out there. Not once does she mention seeing a psychiatrist or a counselor. Not once does she talk about suicide statistics. Ugh. I did see a webcast interview with Rebekah and her husband. She seems like a absolutely lovely woman, and sort of back-tracked on the meds stance, saying that everyone is different, and yes some people do need meds. But, that did not come across in the book. The other theme is Rebekah's passion for women finding and using their God-given gifts. She is so passionate about this and it really resonates with me. Rebekah is so encouraging, to young mother's especially. She writes: "... the displacement of a mother's purpose (beyond child rearing) becomes a huge loss to our communities. If women aren't empowered to cultivate their uniqueness, we all suffer the loss of beauty, creativity, and resourcefulness they were meant to inject into the world." Another quote: "But if God has buried in each of us good gifts, doesn't it follow that He desires for us to find and use them? To ignore these gifts or fail to develop them, it seems, would be to bury our treasure..."
Would I recommend it? Yes, with reservations. I love the parts where she encourages women to grab hold of their gifts and use them to to further the Kingdom. There are parts of her recovery story that bother me, and I would hesitate to recommend this book to a Christian who is really struggling. Disclosure: I received this advanced reading copy free from Zondervan via Handlebar Publishing as part of their Board of Bloggers book review bloggers program. I was not required to write a positive review. The opinions I have expressed are my own. Bread & Wine is Shauna Niequist's third book, following her first two, Cold Tangerines and Bittersweet. I only recently started reading Shauna's blog, and this is her first book I've read. Bread & Wine is a collection of short essays about anything and everything--life, love, family, heartache, friends, and above all food. 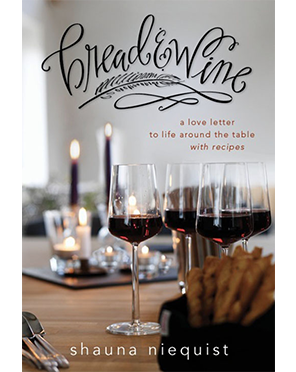 The subtitle on the cover is, "a love letter to life around the table with recipes." And, that's exactly what it is: a love letter. Niequiest's writing is beautiful and poetic. She sounds like she is everyone's best friend, and if you were to meet her, I bet you'd feel an instant kinship. And, ask to join her cooking club. "For the record, my last-supper meal looks a bit like this: first, of course, ice-cold champagne, gallons of it, flutes catching the candlelight and dancing. There would be bacon-wrapped dates oozing with goat cheese, and risotto with thick curls of Parmesan and flecks of black pepper. There would be paper-thin pizza with tomatoes and mozzarella and slim ribbons of basil, garlicky pasta and crusty bread and lots of cheeses, a plummy pinot noir and maybe a really dirty martini, because you might as well go big on your last night on earth. There would be dark chocolate sea salted toffee and a bowl of fat blackberries, and we'd stay at the table for hours and hours, laughing and telling stories and reaching for one more bite, one more bite, one more bite." At some point in the book, you may (like me) become overly jealous or annoyed with this woman. I mean, really. Her life looks pretty awesome on paper. Tons of friends, full life, great husband and kids, close family, lake vacations, running a marathon for pete's sake. But, she shares her other sides too. The dark period of miscarriages, insecurities, fears, loss. She's just a woman, like you and me. No need for me to put her on a pedestal. And just from reading her book and blog, I know she wouldn't want me to. The recipes, oh the recipes. I love the fact that many are fancy/not really fancy recipes that are easy to prepare and impress your guests: Steak au Poivre with Cognac Pan Sauce, Mini Mac & Cheese, Bacon-Wrapped Dates, Maple Balsamic Pork Tenderloin. Simple ingredients, big flavor. There are also every day recipes like Annette's Enchiladas, Brannon's Caesar Salad, and Magical White Bean Soup. Overall, I really enjoyed this book, and I can't wait to make some of the recipes... starting with the Bacon-Wrapped Dates! Heart of Ice is the third novel in the Triple Threat series, following Allison (federal prosecuter), Nicole (FBI agent), and Cassidy (TV journalist). This latest novel starts out with Allison, Nicole, and Cassidy each chasing the "Want Ad Killer" in their own way, a story line that is loosely based on the real-life Craigs List Killer. This storyline was not as central to the book as I thought it would be (but does get the three ladies talking about sociopaths later on). Elizabeth Avery is the real star of the book. Elizabeth is a sociopath who manipulates everyone. She lets nothing stand in her way, and will do anything, even murder, to get what she wants. Elizabeth has a new boyfriend who comes with some baggage--an ex-wife and child. Elizabeth hires an old friend from school to burn down the ex-wife's home, and sets a series of awful events into motion. In addition to being involved in these events, the Triple Threat ladies are each dealing with issues in their personal lives as well. Allison is still mourning the loss of her unborn child and trying to repair her relationship with her sister, Nicole is diagnosed with breast cancer, and Cassidy is still clawing her way to the top of her career and dealing with self-esteem issues. I didn't feel like there were many twists and turns, and the reader pretty much knows everything that's going on. But, Heart of Ice is a well-written, entertaining read. It's clean and, like the previous novels, interweaves nuggets of faith throughout the book (mostly through Allison's character). I give this book 4 out of 5 stars. Disclosure: I received this advanced copy e-book free from Thomas Nelson Publishers as part of their BookSneeze.com book review bloggers program. I was not required to write a positive review. The opinions I have expressed are my own. My last blog post was about 6 months ago. I keep feeling like I should post something that I've given up, so here it is. I really wanted to be a blogger, even if it was just for me. But, after a while it just lost it's sparkle and shine. And, I was sick. And busy. And pregnant (yippee!). Then I quit my job to stay home full time (super yippee!). The last few months have been busy with home projects and new baby preperation. And time with my sweet 4 year old who is happy to have his mom home. So, there it is. I'm not a blogger. At least not for now. Who knows, maybe I'll pick it up again in the future. Thanks to all who have stopped by in the past, and for all your comments. I've enjoyed getting to know so many people and I look forward to keeping in touch! This Read and Share Bible DVD is part of the Jesus series. "Life and Miracles" comes between "Christmas" and "Easter", and, just as the title suggests, shows Jesus's life from a young adult into adulthood and the miracles that he performed during that time. Almost all of the stories are included in the four Gospels (Matthew, Mark, Luke, John), but I will include a few references below. We see many more well-known stories of Jesus: turning water into wine at the wedding in Cana (John 2: 1-11), healing many people, talking with Nicodemus (John 3:1-21), calling the disciples, feeding the the thousands with 5 loaves and 2 fish (Luke 9:10-17), walking on water, the disciples refusing the little children and Jesus rebuking them (Mark 10:13-16), the last supper with his disciples, the betrayal, and much more. I watched this DVD with my 3 1/2 year old son and he loved it! He kept asking to watch the Jesus movie. I thought it was very biblically sound, and kept my son's attention. It is the perfect length for this age too, about 30 minutes. They pack a lot in that half hour, and I thought it was great. The illustrations are done in a water color style, which I thought was a little odd at first. But, it turned out to be really beautiful. I also appreciated the music, mostly soft instrumentals. I get enough silly, bouncing-off-the-walls kind of music from other programs. While most of the time, that's fine, it was refreshing to have some nice, calming music. This DVD is a great way to introduce young children to Jesus and his life. I am looking forward to adding some of the other DVDs to our collection! Disclosure: I received this book free from Thomas Nelson Publishers as part of their BookSneeze.com book review bloggers program. I was not required to write a positive review. The opinions I have expressed are my own. 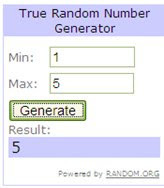 The winner is Amy at MomAdvice.com. Congratulations! Amy is a fellow book lover, and you should check out her monthly book reviews here. Thank you to all who entered, I sincerely appreciate you stopping by!